Something nice for the weekend Sir…? – Dirty wet dog , boats and sailing. Something nice for the weekend Sir…? The weekly trawl of boats on Ebay continues with another quickie post. I got all excited when i did my weekly search when yet another Fairey Atalanta came up but then i realised that it was clearly the same boat as last weekend, just with some different photographs. It does look to be a slightly larger project : the peeling paint inside suggests moisture to me and it sounds as though a buyer backed out. Still very interesting and still tempting except that it’s still 600 miles away ! Before getting into this weekend’s boat i just wanted to say a few words about the title because it kind-of relates to one recent post and a hilarious conversation we had one lunch time in the staff room. In ‘Abbey road/Abbey’s road i mentioned our odd little house in a small market town out in the wilds of rural Lincolnshire……nothing very much ever happened except for the one UFO sighting and once a tank transporter came through with a genuine Chieftan tank on the back. One of these. I got aboard one once when i was a kid and once again a couple of years ago….when i was playing at being a tank crazed kid all over again….i actually got a ride in the commanders hatch of a Canadian Leopard that day which was some high degree awesome……anyway. Actually the yearly exciting thing that did happen is that the local maker of racing cars would either have an open day or bring some of their fabulous cars, all in British racing green and black out for the summer fete….which otherwise was a fete worse that de’ath. If you’re getting at all worried about the glue sniffing, that all started at about the same time i discovered Airfix models, don’t panic too much as normal blogging will be resumed ‘dreckly‘ as we says down ere. The Abbey road connection is that many of the small businesses were quite literally someone’s front room converted into a shop. Just over the road was one barber shop, just around the corner a sweetshop that had the most unfeasibly small shop space that i think i have ever seen, even then it was narrow…..nowadays i would probably have to turn sideways and breathe in just to get through the door. Just around the next corner were a family that my family were friends with and they ran a barber shop out of what i think was the front room. As i remember it there was a sliding door into a living area….might even have been the kitchen !. Anyway that was the barber shop that i was sent to once in a while with sixpence in my hand for a ‘short back and sides’. As i remember it there would be a few old boys sitting around, when it was my turn for a cut Mr Neal would put a board across the arms of the seat and i would perch on that while he snipped away. Two other things i remember are the glass jars of scary looking stainless steel instruments and razor sharp open razors glinting on the worktop……the other worrying thing is that Mr Neal also ground meat and made his own sausages…..always wondered if they were ‘long’ pig. If it seems that i am making out that not very much happened there you would be right, the best parallel in literature that i can think of is with one of Terry Pratchett’s small dusty towns out on the cabbage plains somewhere beyond Sto-Lat. We did eventually move to the city and even that was nothing like as cultured as Ankh or as viscerally exciting as Morpork……just another London dormitory city surrounded by housing estates and dying industry. Oh…by the way the punch line here is that in those days when some men got their shave and trim the barber would then discretely ask if they wanted ‘something for the weekend sir’ ?, now i guess there wasn’t a big trade in ecstacy, cocaine and marijuana in the village in those days so i can only guess that the barber was referring to condoms : which were definitely an under the counter item. The staff room conversation by the way was along similar lines except that one of the girls was asking me what my experience of prostitutes had been : and yes we do have somewhat odd conversations in the staffroom. I had to think for a while because, as a sailor i have been to some ‘interesting’ places in the world. One time, coming straight out of the southern ocean we literally walked ashore in Sydney (Aus) straight out into their equivalent of soho. Rio de Janeiro was the most memorable but maybe another time eh ?. The story i actually thought of comes from way back : when i was just starting to go to north Wales regularly with my mate Dave in his beaten up left hand drive VW Beetle. This one time we had been diverted off the old A5 and had somehow ended up in the middle of Shrewsbury late one night and we’d been on the road for hours so we decided to make for the local chippy. A little while later and i was standing near the town clock when a friendly young lady came along and said “any plans for the weekend boys” i, being still fairly polite in those days immediately launched into a description of the climbing routes we were going to do……shortly after that i think Dave nudged me and we went back to the car and he could hardly speak for laughter. Being both young and country-boy naive i had absolutely no idea what had just transpired until Dave patiently explained what young ladies of negotiable virtue were all about. Better talk boats instead eh ? This one might be worth a look at as it’s one of the boats that i talked about in a post when i was seriously researching shallow draft and higher performance boats. The boat is an Evolution 26 cruiser/racer with a lifting keel and late IOR style hull. They are said to be a quick little boat and i had one on my list to look at but it sold before i could go and see it. They don’t come up that often and seem to sell quickly. 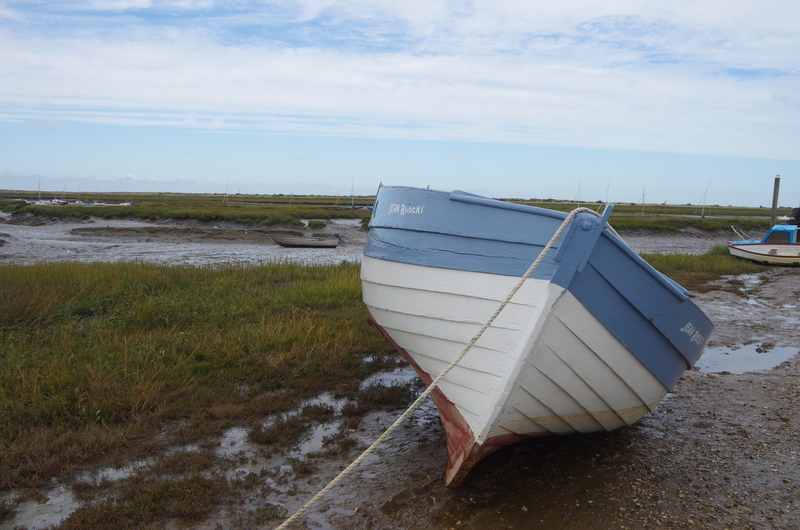 There isn’t a trailer, the engine looks newer than the boat and the interior looks hard used, depending on the gear though this would have made an effective little cruising boat for the kind of thing i do but would have been a lot more powerful….especially upwind. As i said, worth a ‘quickie’ maybe……..oops. Previous Weekends and sticky moments. Next Friday 5 minute blog, March. I had to get that post out so fast that it’s unedited and un typo-checked. Main post is coming out in 12 hours instead + video.